We named our cidery after the part of the apple trees that grow our fruit. Each tree has a rootstock, or a base of underground roots that anchor it to the earth and nourish its growth. 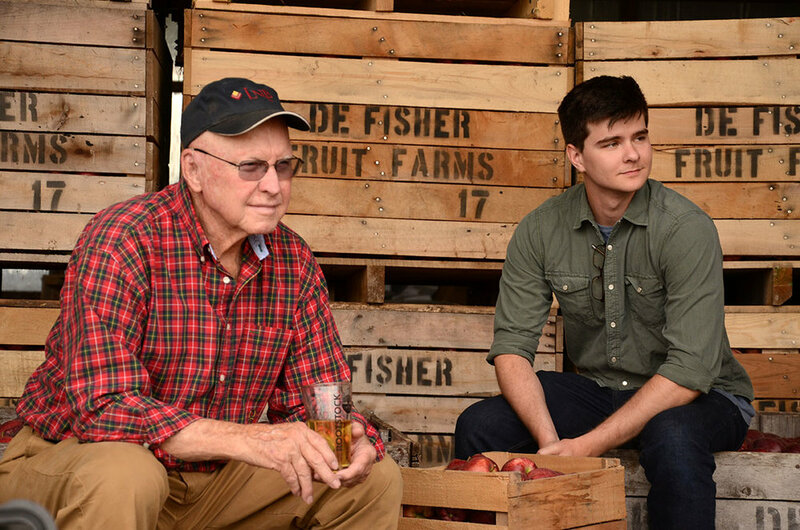 We honor our appreciation for the fruit that has allowed us to expand and grow as a family business through the very name that lines our bottles and cans of craft cider. Every can, bottle, and glass, is filled with handcrafted cider produced from over two dozen apple varieties. We purposefully select varieties with impactful flavors that are best for making ciders. Our ciders contain only two ingredients: apples and cider-making yeast. We grow it, distill it, and bottle it on site and it doesn't get any simpler than that. Our flagship varieties can be enjoyed year round and found on shelves nearby for you to take the Rootstock taste home with you! The Original Hard Cider is a semi-sweet cider crafted from estate grown New York State dessert apples. Don’t be fooled by its modest color, this cider brings an interesting aroma that is packed with notes of crisp apple. The light carbonation makes it a drink for any and all occasions. Hopped Hard Cider is a semi-dry cider made from estate grown Crispin apples and locally grown Cascade hops. A blend of fresh picked fruit and wood notes awake the senses as you indulge with a glass. With a smooth finish beer and cider drinkers alike are sure to enjoy this variety and maybe even ask for more. Dry Hard Cider takes a step back from our traditional fruit forward approach and allows the yeasty aromas to take center stage. A balanced bitterness celebrates the fermentation process and creates a complex taste. To learn more about all of 11 our cider varieties including seasonal releases and premium label, or to explore where to try and buy, click the button below.